Copyright © 2013 Yanping Zheng, Wenxia Wang. This is an open access article distributed under the Creative Commons Attribution License, which permits unrestricted use, distribution, and reproduction in any medium, provided the original work is properly cited. 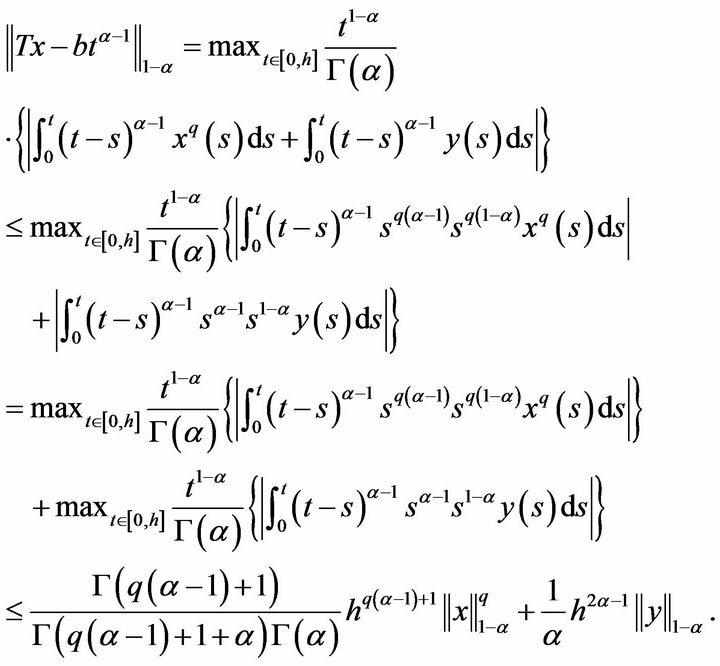 In this work, we study existence theorem of the initial value problem for the system of fractional differential equations where denotes standard Riemann-Liouville fractional derivative, and is a square matrix. At the same time, power-type estimate for them has been given. To prove the main result, we begin with some definitions and lemmas. For details, see [1-5]. in any prescribed order, there is a unitary matrix such that is upper triangular with diagonal entries That is, every square matrix is unitarily equivalent to triangular matrix whose entries are the eigenvalues of in a prescribed order. 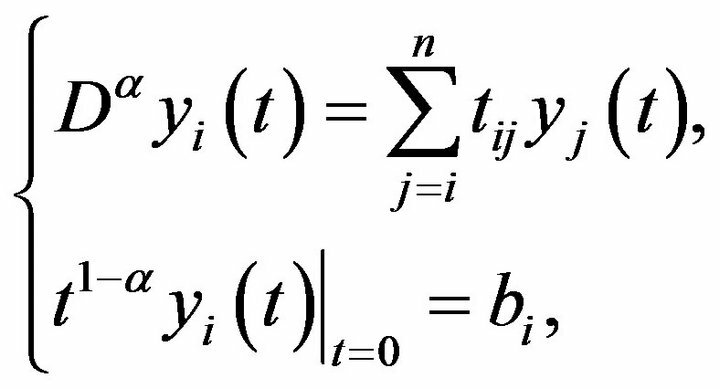 Further more, if and if all the eigenvalues of are real, then may be chosen to be real and orthogonal. has at least a solution for sufficiently small. Clearly, it is closed, convex and nonempty. In view of the assumption the second estimate is satisfied if say and is chosen sufficiently small. 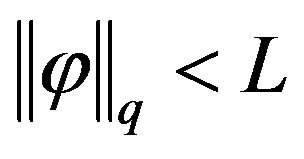 Turn out to be compact from classical sufficient conditions, since . By Lemma 1.5, we have that Problem (3) has least a solution. Now, let’s consider the problem (**). of the problem (**). Let it is required for us. 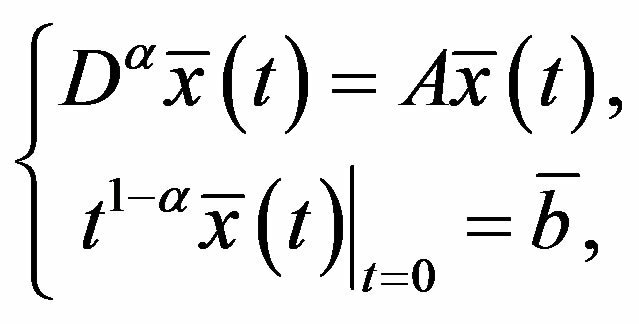 for where is the th entries of the vector Next, we shall discuss these equations in (9). Using Lemmas 1.3 and 1.9, the proof is similar to Theorem 2.2. Therefore, it is omitted. This research was supported by the NNSF of China (10961020), the Science Foundation of Qinghai Province of China (2012-Z-910) and the University Natural Science Research Develop Foundation of Shanxi Province of China (20111021). I. Podlubny, “Fractional Differential Equtions,” Academic Press, New York, 1999. R. A. Horn and C. R. Johnson, “Matrix Analysis,” Cambridge University press, London, 1985.